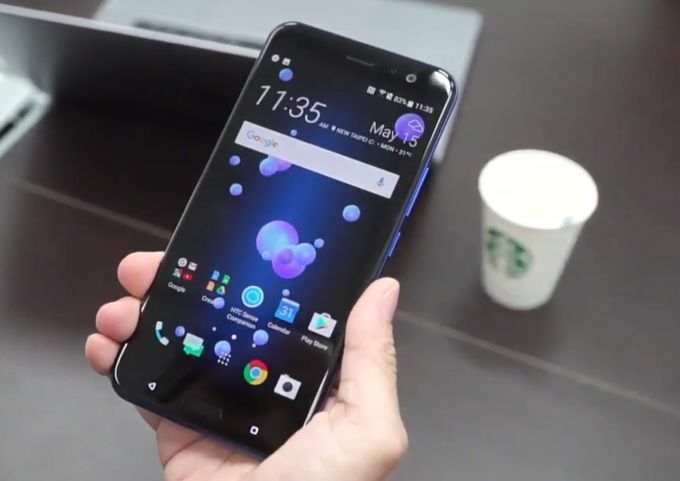 So now the time has come when HTC is all set to launch it's new flagship smartphone that is HTC U11. All the HTC fans hold their hearts and read the full article about the much awaited phone from HTC. This is the flagship phone from HTC of 2017. This is successor to last year launched HTC 10, which was flagship smartphone from HTC in 2016. Company launches HTC U11 today in an event held at Taipei. The smartphone was getting many rumors from last few weeks. 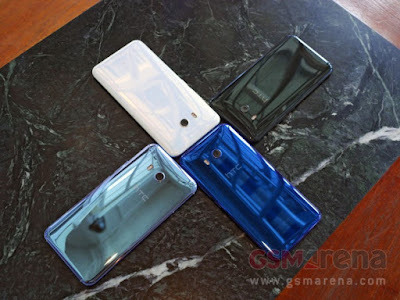 Also the company has posted many teasers giving some information of the device's specialty. The main specialty of the phone is it's squeezable edges which I will describe further in the main topic. So without wasting further time let's discuss some of the specs of the phone. 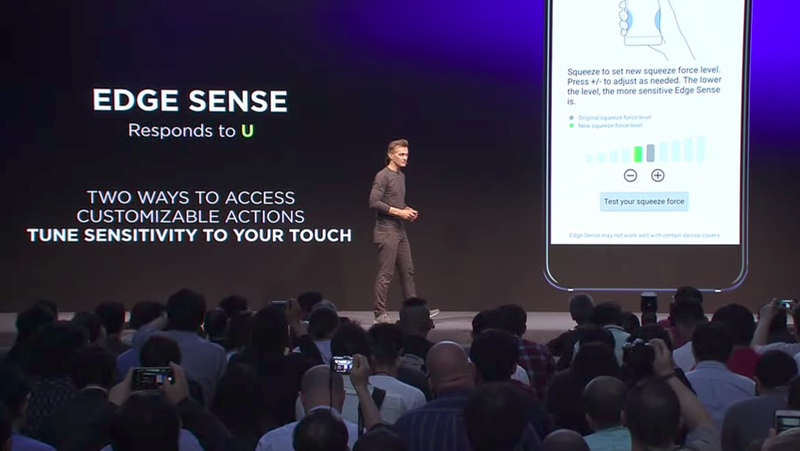 The most interesting feature of the phone, which the company has been touting from last few weeks is Edge Sense. The phone comes with edges which are squeezable. These edges are somewhat force sensitive. We can do many works by putting pressure on these edges with our hands. The phone can perform many things according to our force like opening up an app, taking a photograph, switching on flash light, starting Google Assistant﻿ and many more tasks. All these tasks work according to the amount of force we apply to the edges which we can customize in the settings. The most interesting thing of this is that it also works when we are using phone wearing gloves or using phone underwater. So think of the condition if you are at cold place and you are wearing gloves, you don't have to open the gloves again and again for taking photographs. So this new Edge Sense is the main highlighting point of the phone. The design of HTC U11 is different from last year's flagship. This time it is having the same design as that of HTC U Ultra. 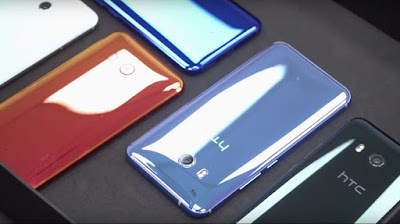 It is having the same glass design as on HTC U Ultra. The glass on the back of the phone looks very cool and it just looks like a liquid. The glass on back is very reflective. This glass design is good but it will make the phone slippery and also a fingerprint magnet. So it is advised to use a case with the phone. But this glass also design makes the phone very premium. It is having a metal frame too. On front it has 5.5 inch IPS LCD display. This time the most interesting feature of the phone are it's edges. It's edges comes with a feature known as Edge Sense. In this, these edges are force sensitive and can react to us when we squeeze the edges. We can set the sensitivity of this from settings for doing different tasks. So it will be really interesting to see how this feature will work on the phone. Also the company has ditched 3.5 mm headphone jack this time. There is USB Type-C port and I think﻿ company will include a Type-C to 3.5 jack adaptor in box. It is having rear mounted fingerprint scanner. Also the phone is water and dust resistant. It comes with IP67 rating. This device comes in five different colors which are sapphire blue, icy white, brilliant black, solar red and amazing silver. So the processor used on this one is also the same as we saw on many of the flagships this year that is Qualcomm's Snapdragon 835. This chipset is used by Samsung S8, Xiaomi mi 6 and Sony Xperia XZ premium this year. And now HTC U11 is the fourth device to power this up. This chipset is based on an octa processor with four Kryo cores cloaked at 2.35 GHz and the other four Kryo cores cloaked at 1.9 GHz. Snapdragon 835 is the best chip ever made by Qualcomm. Actually this chip is made by Samsung. This chipset is based on new 10nm architecture. As we have already seen the performance of Samsung S8, which is top notch. So there won't be any issues regarding the performance of HTC U11. The General performance of the device will be really good. There won't be any lags whatsoever in the general use. The device should run as much fluid as Samsung S8. All things will go butter flow. The device is powered by Adreno 540 for graphics. So it can do all graphic intensive tasks without any issues like playing heavy games. So overall the processing of the phone is very good. HTC U11 is having a 5.5 inch display. This display is a Quad HD display which has 2560*1440 pixel of resolution. Also the quality of the display will be really good as it is a quadHD display. Also the Virtual Reality of the phone will be really enjoyable. This display will also be easy to see in direct sunlight. The camera on HTC U11 should also be very good as it's competitors are among the best camera phones. So the rear camera on HTC U11 is a 12MP sesnor with f/1.7 aperture size. The device has Ultra fast autofocus for fast focusing. The phone is having 5-axis Optical Image Stabilization. So the picture will be really good in daylight as well as in low lightening conditions. I think it is having the same camera sesnor as that of Samsung S8. So it will be really good. But things also depend on optimization, specs don't tell all things. So it will be really interesting to see how the camera will perform. Also it can record videos upto 4K. For stable videos it has combination of OIS and EIS. It has a secondary camera of 16MP with f/2.0 aperture. On HTC 10 the secondary camera is of 5MP with f/1.8 aperture. This time company has decreased the aperture size but increased the megapixel count. So it will be interesting to see the camera performance of the phone. HTC has also worked very well on it's sound department. It comes with new generation of Boomsound technology this year which enhances the quality of sound to a great extent. HTC been very famous for it's sound department for many years. 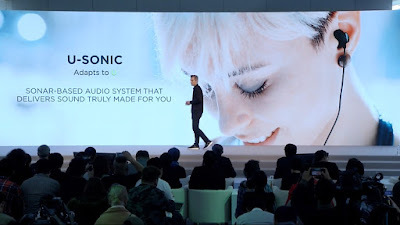 Also it comes with new generation of Usonic headphones which are very good and cancels the noise around us. They are very good noise cancellation headphones. These headphones detects the disturbance in our ears with the help of SONAR technology and provides the best sound possible to our ears. Also for audio recording this comes with 360 degree audio recording, which can be achieved by the four microphones on the phone. The quality of audio picked up by phone will be really good. So the sound department is really strong on HTC U11. HTC U11 comes with a lot of Artificial Intelligence features. It comes with the most common Google Assistant which we have already seen in many of the phones. 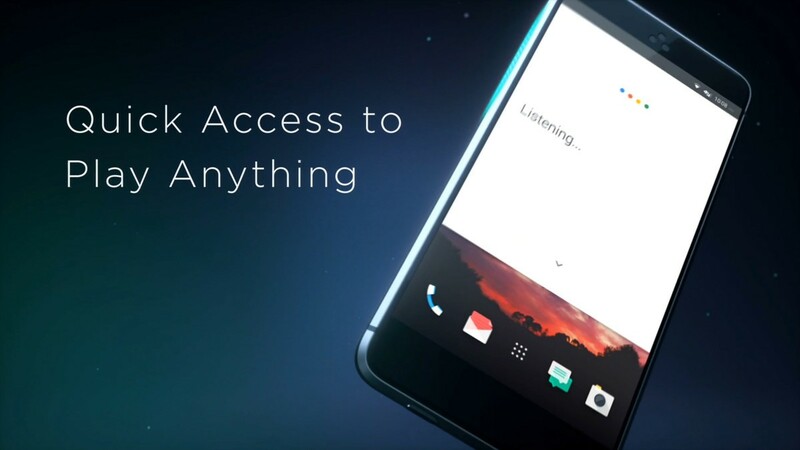 HTC U11 has a low power microphone which remains active all the time and this quickly recognizes our voice and responds. So Google Assistant works very well with the voice recognition. This Google Assistant also works with the Edge Sense. Also it is having Alexa AI which can play the music by listening our voice. HTC U11 comes with Android v7.1 with HTC Sense. This HTC Sense has got smarter can give us many of the suggestions according to our tasks. So the implementation of these different AI's will make a good User Interface on HTC U11. This Alexa AI will only work in few countries US, UK and Germany. 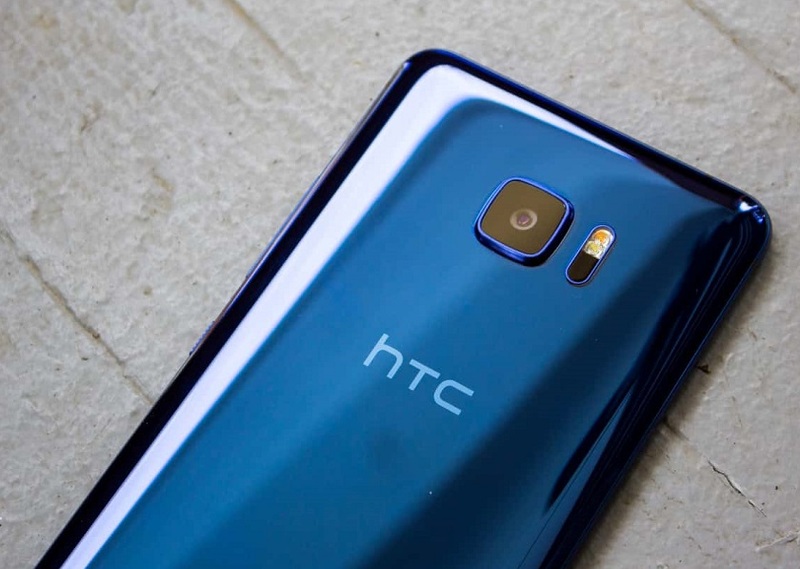 HTC U11 is having all the basic sensors such as compass, gyro, proximity, accelerometer, fingerprint. The fingerprint sensor is rear mounted on this one. HTC U11 is powered by 3000 mah non removable battery. It comes with USB Type-C port for charging. 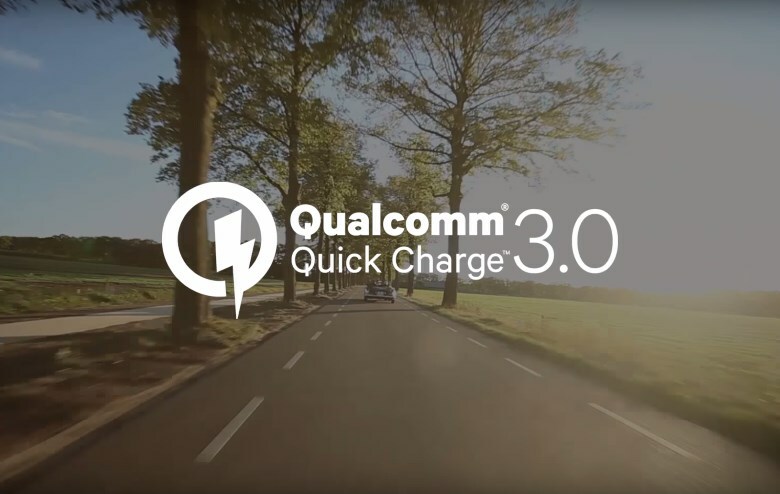 It also has QuickCharge 3.0. According to me battery amount is less by seeing the display resolution. 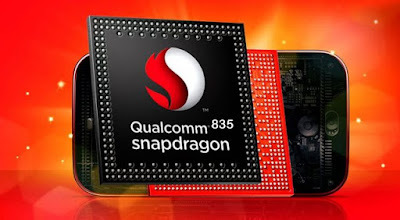 But as this phone is having Snapdragon 835 which is based on 10nm architecture, it will help in less power consumption. And Quick charging will also help in charging the phone fastly. According to me the battery of HTC U11 will last for a full day for a moderate user but heavy users can face problems related to battery. This time HTC has done something interesting with it's flagship device. It implemented a very new thing in the edges of the display. Also it is using a very fast processor for it's phone which is the fastest chipset Qualcomm has ever made. As the sales of HTC devices is going down from last few years the company has to do something innovative and new with it's new flagship. This new flagship will face tough competition with that of Samsung S8, LG G6 and iPhone 7. All things will depend on the pricing of the smartphone, because with it's last few phones HTC is not very good. It priced it's phones very highly in the market. But now company priced HTC U11 at 749 Euros which I think again a quite high price for a HTC smartphone. Because HTC has competition with Samsung and Apple, and htc has to understand that it has lost it's hold on the smartphone. So to lure the customers it should price it's smartphones somewhat lower than that of Samsung and Apple. Samsung S8 is available at 799Euros which is more or less same as HTC U11's price. Although it priced it's new flagship highly, HTC has implemented a very good feature in it that is Edge Sense. So let's see whether this new feature will help in increasing the sale of it's new flagship or not.